WASHINGTON — Marco Rubio, the fresh-faced senator from Florida, has made more than a few passing references to the advanced age of some of his presidential campaign rivals. Now he’s ready to use his youth as a bludgeon. After the 69-year-old Donald Trump tweeted that the 44-year-old Rubio “looks like a little boy on stage,” Rubio finally took the issue head on. With that remark, Rubio officially called Trump an old dude — and stepped into the sensitive politics of age in presidential campaigns. In an election in which nothing’s really over the line anymore, Rubio’s bit of snark is unlikely to be the last when it comes to the issue of age. It’s likely that the front-runners for the Republican and Democratic nominations after Super Tuesday contests will be 69-year-old Trump and 68-year-old Hillary Clinton. Even then, Clinton could still be in for a long battle with 74-year-old Bernie Sanders, who’s not going away soon. It’s not that the age of a presidential candidate in itself matters most to voters. It’s whether there are obvious health problems that go with it. 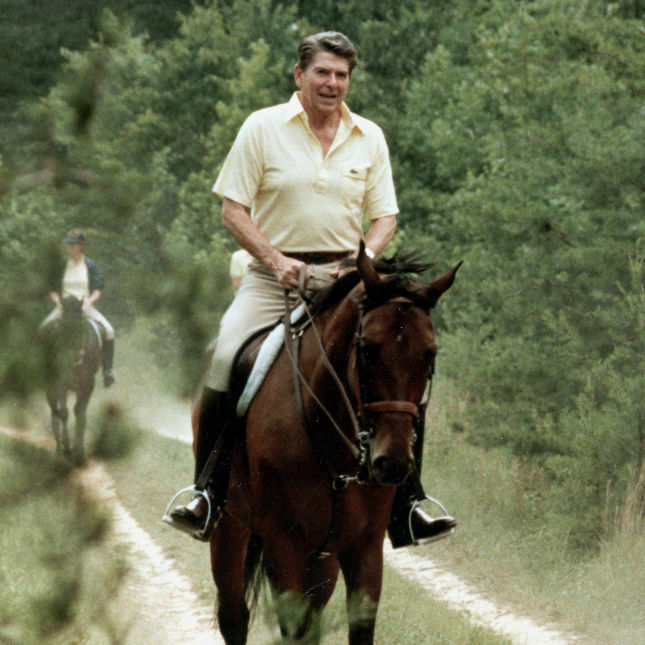 When Ronald Reagan ran in 1980, he was 69 — the oldest person elected to the presidency. But his age didn’t make a difference to voters because his ads showed him on horseback, full of energy and life, according to Robert Blendon, a health care public opinion expert at Harvard University who directs the STAT-Harvard polls on medical science issues. They also don’t go into a lot of detail. Although the letter from Clinton’s physician addresses the concussion she suffered in December 2012, Trump’s letter doesn’t suggest that he has any health problems at all — or ever has in the past, for that matter. And Franklin D. Roosevelt was vulnerable when he ran for a fourth term in 1944 — not because the 62-year-old Roosevelt was old by today’s standards, but because he looked sick and frail. His Republican opponent, Thomas Dewey, even charged that Roosevelt was a “tired old man” with “tired old men” in his cabinet. It didn’t work, though: Roosevelt crushed Dewey at the polls. Health is more than age, of course. John F. Kennedy, at 43, was the youngest person ever elected to the presidency (the minimum age is 35). But he had suffered from Addison’s disease for 15 years before the 1960 election. His campaign managed to keep the issue under wraps, even though Kennedy had to take steroid and other drugs to overcome symptoms from the autoimmune disorder. Roosevelt also sought to sanitize his public image, and any health concerns, by avoiding having pictures taken while in the wheelchair that polio had forced upon him. Disclosure does have risks. After George McGovern picked Thomas Eagleton to be his running mate in 1972, rumors began to circulate about Eagleton’s mental health. He acknowledged to the media that he had been hospitalized for depression multiple times. The issue didn’t go away and McGovern soon dropped Eagleton from the ticket. There’s also a big problem with raising age directly: It’s just as likely to backfire against a candidate. President Obama’s campaign made a pretty direct attack on McCain, who was 72 when he ran for the White House in 2008 — and suffered a bit of backlash. The Obama campaign asserted it wasn’t an age-based attack, but still faced criticism — exacerbated by the fact that McCain’s war injuries had made it harder for him to use some technology. Delicacy, instead, seems to be the best policy, even if a candidate’s criticism still subtly brings an opponent’s age into play. USA Today later called it Clinton’s best line of the campaign. Humor might be the best — and only — weapon for older candidates. Dole was often defiant about his age, arguing throughout the campaign that he was healthy and capable. He put out a clean bill of health, from his doctor, in what has become a campaign ritual. But as the issue stuck, and some polls found almost one-third of Americans thought he was too old to be president, Dole tested out a little humor too. “You always feel a little older in the morning. By noon I’ll feel 55,” he said during one campaign stop — a none-too-subtle nod to his 50-year-old opponent.